Defeat for Chinese Taipei at the hands of China in the penultimate round of the Men’s Team event at 2018 Asian Games in Jakarta, Indonesia on Tuesday 28th August but there was a most significant result. 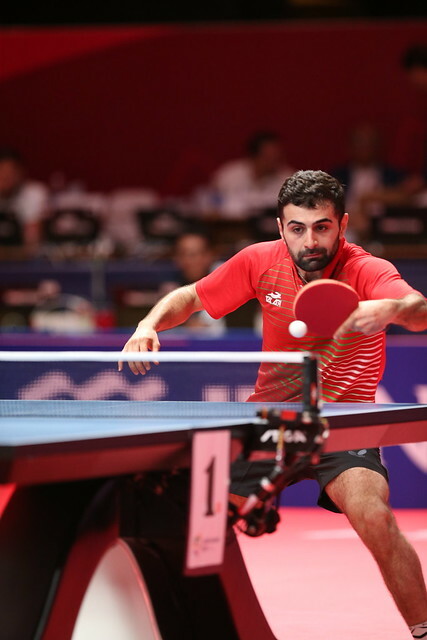 Similarly, India suffered at the hands of Korea Republic; following the euphoria of the previous day when they had beaten Japan, the second seeds, to win their first ever medal in the table tennis events at the prestigious quadrennial gathering, it was a reality check. China, the top seeds, beat Chinese Taipei, the no.4 seeds, by three matches to one; the result to catch the eye was that achieved by Lin Yun-Ju. After Lin Gaoyuan had beaten Chuang Chih-Yuan (11-6, 11-8, 11-3) and Fan Zhendong had overcome Chen Chien-An (11-9, 11-8, 12-10) to give China a two-nil lead, Lin Yun-Ju reduced the deficit by accounting for Wang Chuqin (11-9, 14-12, 3-11, 11-4). An outcome of significance; both will be on duty at the forthcoming Buenos Aires 2018 Youth Olympic Games; add Japan’s Tomokazu Harimoto to the equation and do you have the three Men’s Singles medallists? The intriguing question is in which order? Disappointment for Wang Chuqin but he was not too downhearted; quite philosophical. Hope for Chinese Taipei but it was soon quelled; Fan Zhendong beat Chuang Chih-Yuan (11-4, 12-10, 11-4), to close the curtain. Imposing from China, it was the same from Korea Republic, the third seeds, in opposition to India, the no.6 seeds; a three-nil win was posted. Lee Sangsu gave Korea Republic the ideal start by beating Sathiyan Gnanasekaran (9-11, 11-9, 11-3, 11-3), before Jeoung Youngsik accounted for Sharath Kamal Achanta (11-9, 11-9, 6-11, 7-11, 11-8) and Jang Woojin overcame Amalraj Anthony (11-5, 11-7, 4-11, 11-7) to end matters. Certainly it was better news for Lee Sangsu who the previous day against DPR Korea had lost both his matches.